Buy affordable Amethyst Rings Online from Rocks & Co. Happy 2019 Amethyst rings & jewel lovers! Although 'Ultraviolet' was the Pantone colour of the year in 2018, the colour and its gemstone representative - Amethyst will never go out of style! The violet variety of Quartz has been desired and collected for quite a long time. Amethyst rings and Amethyst jewellery will always have a special place in history and our hearts. Along with royals from Egypt to Great Britain, Catholic Popes were some of the first high profile Amethyst ring and jewel wearers and collectors. Many indigenous societies and cultures through the centuries have admired and created Amethyst rings and jewels, believing the beautiful velvety purple gemstone held healing and protective qualities. So, treat yourself to an Amethyst ring this season. Nothing could be better than a stack of small Amethyst rings or an even Amethyst statement ring! Your new Rocks & Co. Amethyst rings look great with that faux-leopard clutch you were eyeing! Amethyst jewellery is a great go-to for those craving classic delicate beauty in their accessories; however, the gem easily crosses over to today's over-sized, big personality jewel trend as well! Amethyst jewellery is just as beautiful in classic settings as it is in the playful settings of the season. Some of the top 2019 accessories trends are reported to include oversized pop-arty chunky chains that include those made of precious metals that are enamelled and bejewelled. Chokers have been taken to the next level this season, mostly in the form of solid sleek cuff-like collars. These neck accessories are popping up all over, some with the designer/brand name smack dab in the middle of the neck piece. In 2019 one of the biggest accessories trends people are talking about is the art of 'stacking', pile-ups, and layering of jewels. This was popularized by Coco Channel, although the Tudors and many African, Latin, Indo-Asian, Romas and indigenous cultures have traditionally done so before that. As with the popularity of Amethyst jewellery, this trend is actually not so new. Another reiteration of a classic style is the change in hoop earrings. Fresh off the runway is the new crescent-shaped (half-moon) hoop earring. Hoop earrings may date way back in several cultures, but they are here to stay so that's that! Do whatever you want to them designers, they are still our beloved hoops. It's kind of like restaging Hamlet on Mars just because you can. The play is the thing, not the location. Just saying. Also, new this season are charm embellished belts and jewel-encrusted clothing! Amethyst earrings are a great gift, especially for those born in the month of February. Those born in this month will not hesitate to self-gift if they have been overlooked! The gem rates 7 on the Mohs scale of hardness, making it a strong and enjoyable gem to work with for jewellers. Colour options for Amethyst earrings and jewels include the deep violet of AAA Uruguayan gems, the delicate pale pink to purple of the Rose De France Amethyst, and the light to dark greens of Rio Grande Green Amethyst. At Rocks & Co., Amethyst earring styles include classic studs, drop, cluster, and sweet little chandelier styles. Many are designed with multi-stone colour combinations. Perfect for the season! An Amethyst necklace set in sterling silver? How about an Amethyst pendant in gold? Yes, please! 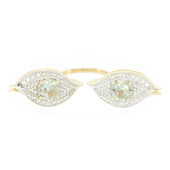 This gem has been historically worn by royalty and other influential society members. Cleopatra, one of the original 'It-girls' adored her Amethyst necklaces and jewels. Although trends are pointing to BIGGER, classic designs like delicate chains anchored with beautiful tiny gemstone pendants are front and centre as well. So, the Amethyst necklace can range from precious single stone pendant necklaces to delicate multi-gem creations to the more artistic playful creations of the season. One of the best Valentine´s Day gift ideas is a calming violet Amethyst bracelet and a bouquet of fiery Red roses. The perfect combination of velvety purple cool and red hot. Keeps a gal on her toes with delight. Since this writer is currently single, I think I will treat myself Amethyst bracelet from Rocks & Co! It is so wonderful how self-love and self-gifting go together like strawberries and cream! Did you know that men’s rings are at the top of the men’s accessories popularity pyramid? Have fun with your ring collection, including adding a gorgeous Amethyst men's ring from Rocks & Co! If it’s good enough for kings it should be good enough for you? Rocks & Co. Amethyst men’s rings are set only in sterling silver and/or gold. What if you had a chance to win a variation of an Amethyst ring?! 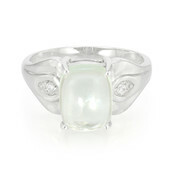 Behind door number one lies a multi-gem ring set in white precious metal, a silver Amethyst ring. Sterling silver Amethyst rings are set in a reasonably priced white precious metal. White metals work well with the purple hues of Amethyst, helping the gemstone to standout. 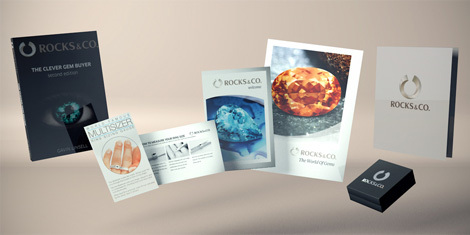 At Rocks & Co., we never and will never use nickel in our sterling or white gold rings and jewellery. 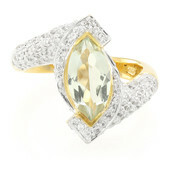 Behind door number two is a yellow gold Amethyst ring with one large faceted stone. The yellow gold Amethyst ring behind door number two features gorgeous warm sun-coloured precious metal that is valuable, but when pure is quite soft. For this reason, many designers utilize gold vermeil with a sterling silver that has been overlaid with or dipped in gold. 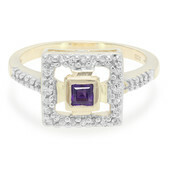 Gold Amethyst rings are beautiful in a more classic way. 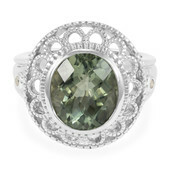 Finally, behind door number three, we have a white gold Amethyst ring with a cabochon cut gemstone. From the setting alone this Amethyst ring is more precious than both of the above combined. Platinum is a rare white metal and very little of it has been mined. 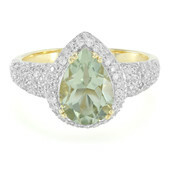 So, while gorgeous it will increase the price and value of a white metal Amethyst ring. Amethyst is known in the Ayurvedic world as a protective gemstone against lower energies and seems to make the perfect modern-day amulet. An Amethyst pendant is precious and beautiful. Although Valentine´s Day is just around the corner it is always sweet to acknowledge a loved one, a good friend or a hero with a purple, heart pendant. Along with heart shapes, tear-drops and Amethyst pendant shapes also make delightful gifts. Like all Amethyst jewellery, many pieces are set in white metals of Silver and White Gold. The warm yellow gold fans are going to be happy as well with the many classic and nouveau Amethyst pendants on the market this season.